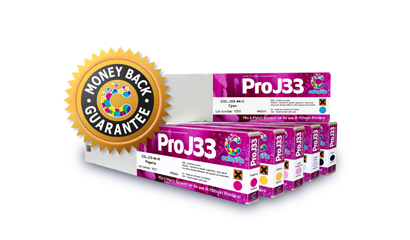 Colorific Pro J33 Series Inks are designed to be an easy conversion for users of Mimaki large format digital printers using Mimaki SS21 original inks. 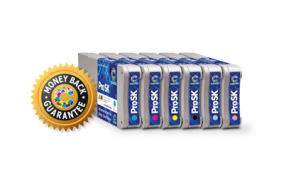 A major advantage to potential users of Colorific Pro J33-Series Ink is the OEM colour match feature.By matching the colours in this way, Colorific J33-Series Ink enables the printer to utilise the existing OEM colour profiles. 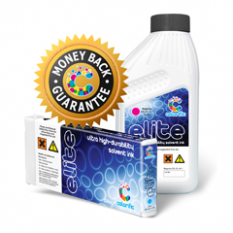 Supplied in a 1 litre compatible cartridge. 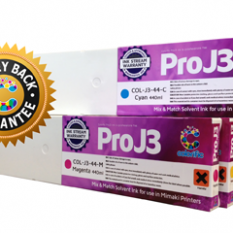 Colorific Pro J33 is available in either 440ml compatible cartridge or 1 litre bottles. Colorific Pro J5 is available in either 440ml compatible cartridge or 1 litre bottles.